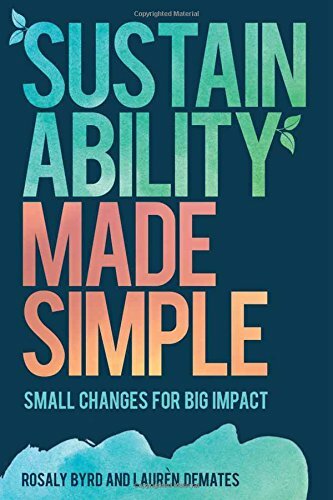 I hope that this Sustainability Made Simple review helps answer a few questions about the book. Marty and I are always interested in ways that we can make our lives a little bit more eco-friendly. There are a lot of small changes we can make to help improve our world. I received a book for this review. This post contains affiliate links, and I will receive compensation if you make a purchase after clicking on my links. Buy this book right now! Sustainability Made Simple is an introduction to sustainability and sustainable living that explores the relationship between everyday life and the intricate global environmental issues of today, including air and water pollution, deforestation, and climate change. Rosaly Byrd and Laurèn DeMates offer an optimistic yet realistic perspective on our impact on the environment, giving much-needed guidance to those who are interested in finding new and relatively easy ways to incorporate sustainability into daily life. An excellent resource for those who are interested in learning what sustainability is about and picking up habits to be more sustainable, Sustainability Made Simple shows that adopting a sustainable lifestyle doesn’t require “going off the grid” or making drastic life changes that take time and cost money. 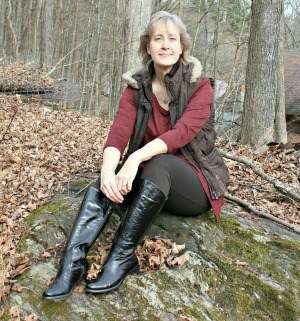 Instead, Byrd and DeMates focus on the advantages and transformative changes associated with sustainability, demonstrating that although society is facing unprecedented environmental challenges, working towards sustainability is an opportunity to do things differently and do things better, enhancing aspects of life, such as health, work, and community. Sustainability Made Simple is a fantastic resource for those looking to make more eco-friendly choices in their lives. The book is broken down into chapters that fit different areas of your life so it's easy to reference. You can find tips for the kitchen, water use, bathroom, holidays, parties, traveling, etc. There are also all sorts of notes and references if you'd like to continue reading more about a certain topic on your own. There really are tips for everyone from small changes like washing your car less frequently to larger changes like landscaping for shade to reduce your cooling bill. This book is a great resource for those who want to make changes in their lives to lessen their impact on our plant. I’m part of the prepper community but many things like living off the grid are just not practical for me. I’d like to do my part with the little things just like this book describes. From the chapter outline I know I’d enjoy the book and learn a lot. I would like to win because no matter what the current political climate is, I will keep working to reduce my carbon footprint because climate change and mass pollution are real-life epidemics and they are real! I’ve been trying to live more green! I would like to win because sustainability is important to me, and I would love advice for practical changes! I’m always trying to find big and small ways to impact our environment and sustainability. I’m always open to new ideas and methods. Would love to learn tips! I’d like to win because the option to a sustainable lifestyle is an unsustainable life. I would love a lifestyle change. I’d love tips on living more green. I think I do a lot already but am always looking to do more.